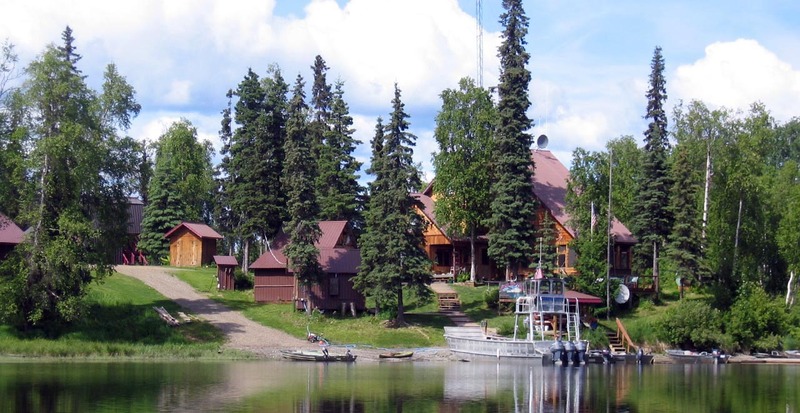 Northwoods Lodge is the premier Alaska Fishing Lodge located on Fish Lakes Creek (one of many we fish) and is only 3 miles from Lake Creek, Alaska. We also fish up to 6 other Alaska Creeks within boating distance of our fishing lodge. Lake Creek (the largest of the rivers we fish) is 60 miles long running North to South from Chelatna Lake in the Alaska Mountain Range to the Yentna River. We provide excellent fishing for conventional tackle and also anglers looking to try their hand at Alaska Fly Fishing. Most of our fishing takes place from the river bank, back trolling, or wading out from mid-stream shallow areas. 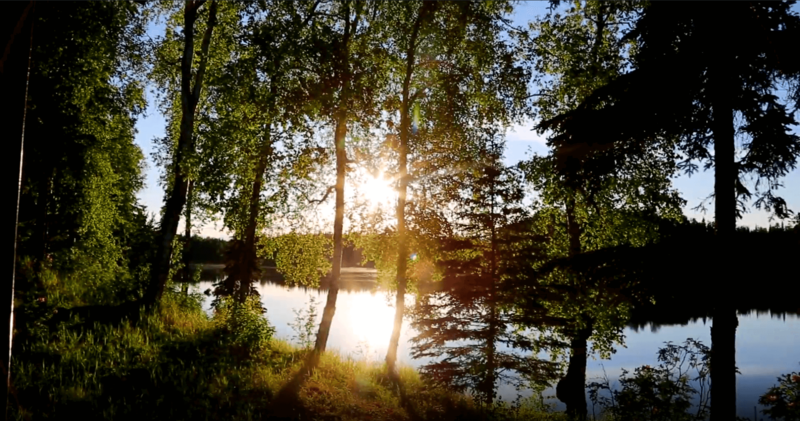 Our Alaska Fly In Fishing Lodge is also close to the Yentna River. The Yentna River is a glacial fed tributary of the Susitna River that provides clear water tributaries to sight fish. Our experienced Alaska Fishing Guides are all CPR Certified and Trained in First-Aid. Our Alaska Fishing Guides are also Coast Guard Licensed. Our fishing guides are proficient in both Alaska Fly Fishing and Alaska Spin Fishing and will be present to assist you in catching fish. We provide top of the line G-Loomis rod with Shimano spinning reels or Abu Garcia Bait Casters. We also have a small supply of G-Loomis fly rods and reels for the anglers who would like to learn to fly fish. Our fishing lodge offers Alaska King Salmon Fishing, Alaska Sockeye Salmon Fishing, Alaska Silver Salmon Fishing, and Pink Salmon Fishing. We also have incredible Rainbow Trout Fishing, Arctic Grayling Fishing and Northern Pike Fishing. 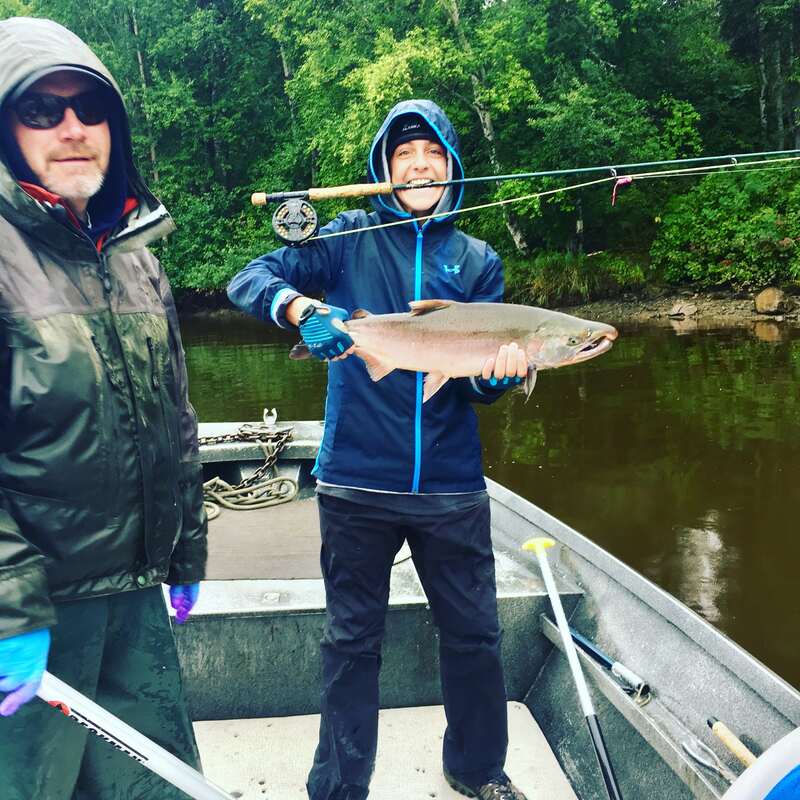 Upon your arrival at our Alaska fishing lodge, you will be greeted by your fishing guide who will remain with you throughout your stay at Northwoods Fishing Lodge. We focus on one guide per group unless your group is more than 4. We are a family owned & operated Alaska fishing lodge with a maximum of 12 guests and 3-4 fishing guides on staff, which enables us to give you the ultimate in personalized service. Each group has exclusive service from one of our professional Alaska fishing guides. There will be many days when your fishing party will be alone in one of our beautiful wilderness streams. Call Northwoods Lodge At 1-800-999-6539 To Book Your Next Alaska Fishing Lodge Experience.